For all the success this blog has had (thanks to you, the readers!!! ), I only started it in mid February of 2012. I really don’t know why it took me so long to find this calling. When I was in second grade, I wanted to write books. In college, I was a Journalism major. I have loved to cook for many years, but never really put it all together. 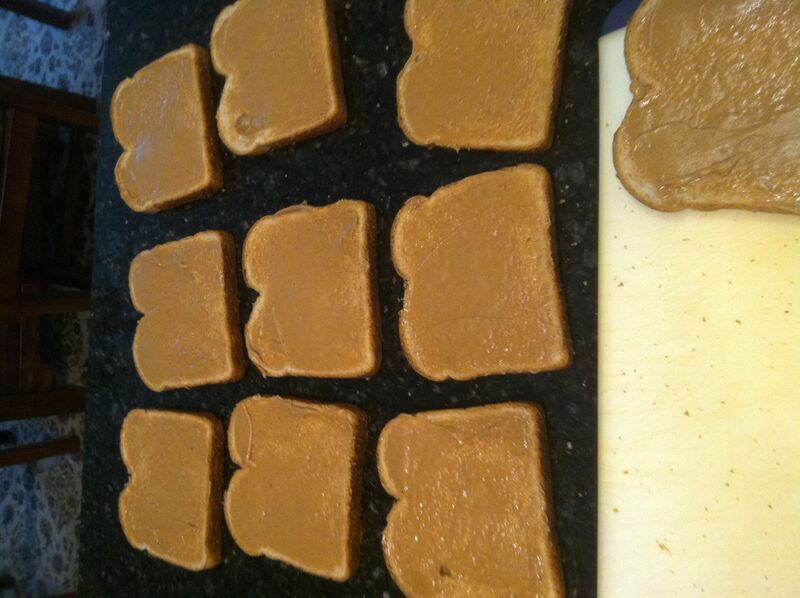 Not until I saw a post on Eatocracy on inventive ways to serve peanut butter and jelly. First off, do we really need inventive ways? Give me a spoon and a jar! 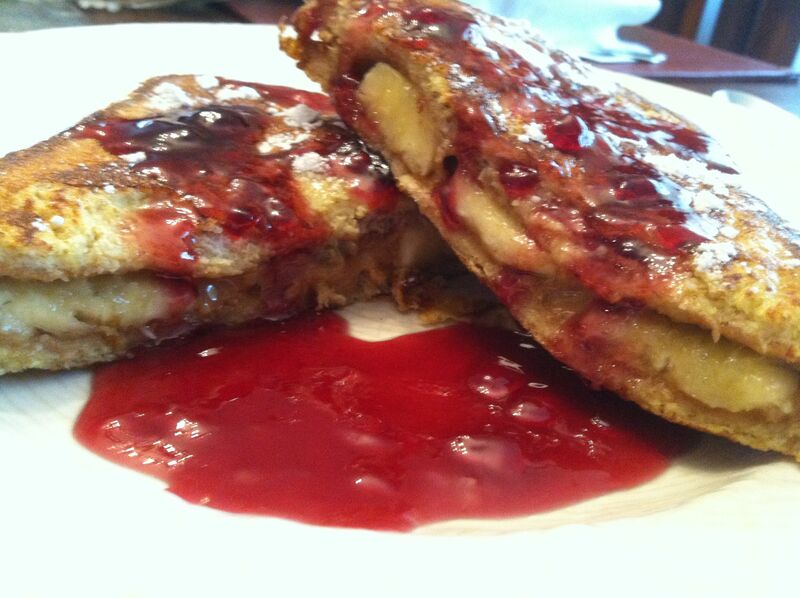 The post had five ideas and the first was Peanut Butter and Jelly French Toast. I saw it and had to make it! I then posted my making of it on Facebook. The idea spread from there. My major addition was to add in bananas. Start by putting the whole jar of jelly in a saucepan. Over low to medium low heat, slowly heat it up. Stir frequently until is becomes a sauce. 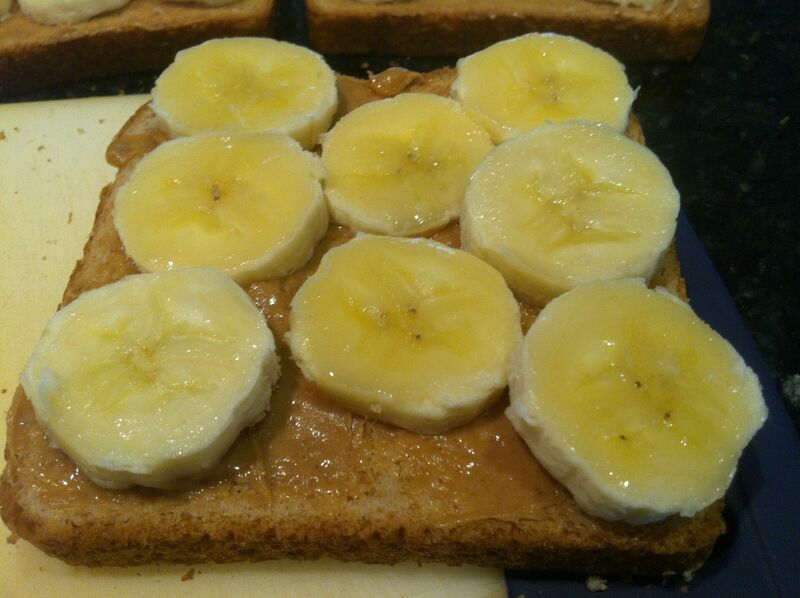 If you are not going to use bananas, spread the peanut butter thick. With bananas, a little less so. Next time, I’ll put more on each slice. 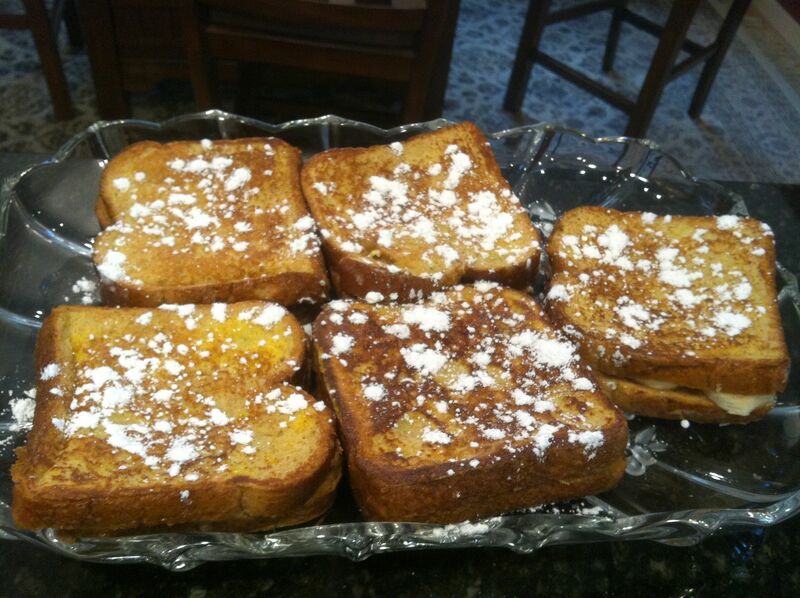 Pa…the French Toast is looking mighty thick! A little confectioners sugar doesn’t hurt. 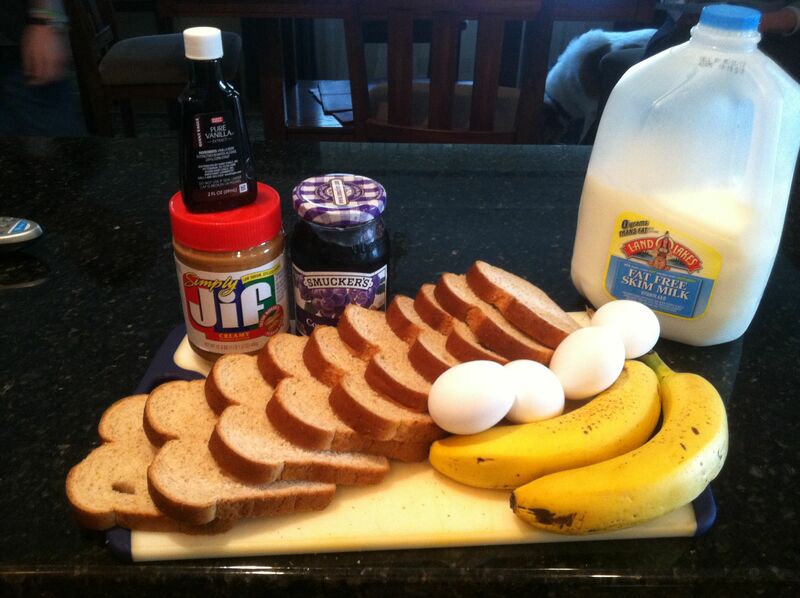 Start by taking two slices of your favorite bread (day-old is just fine for this) and spread a thick layer of peanut butter on one slice and slice bananas and place on the bottom piece of bread. Close the sandwich with the other piece of bread. 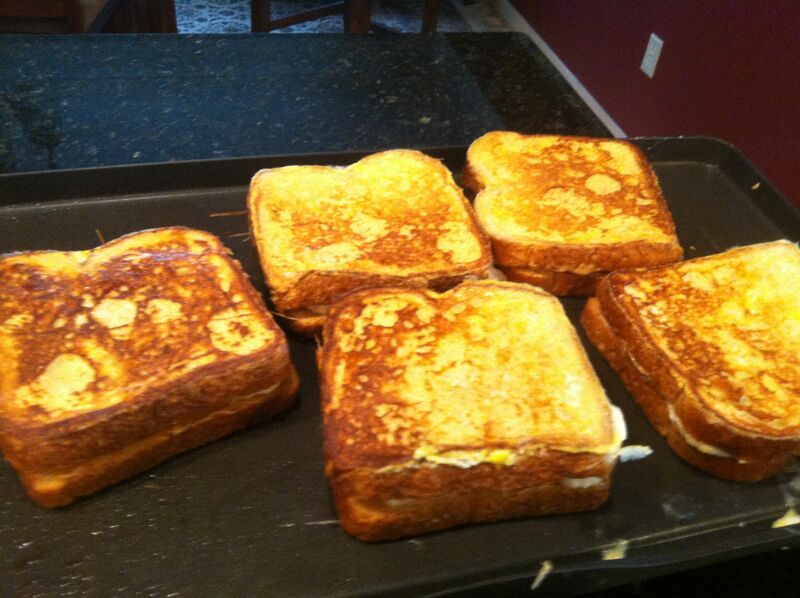 Dip it in a mixture of egg, vanilla and milk (just like you would for traditional French toast) and fry the sandwich in a pan with a little butter. 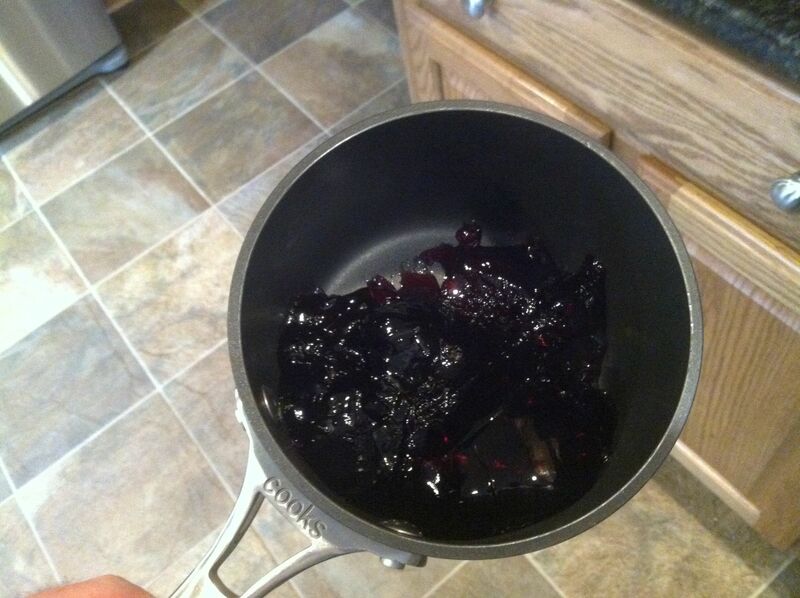 In the meantime, use a small saucepan and a low flame to gently heat some grape juice concentrate or grape jelly until it reaches a syrup-like consistency. 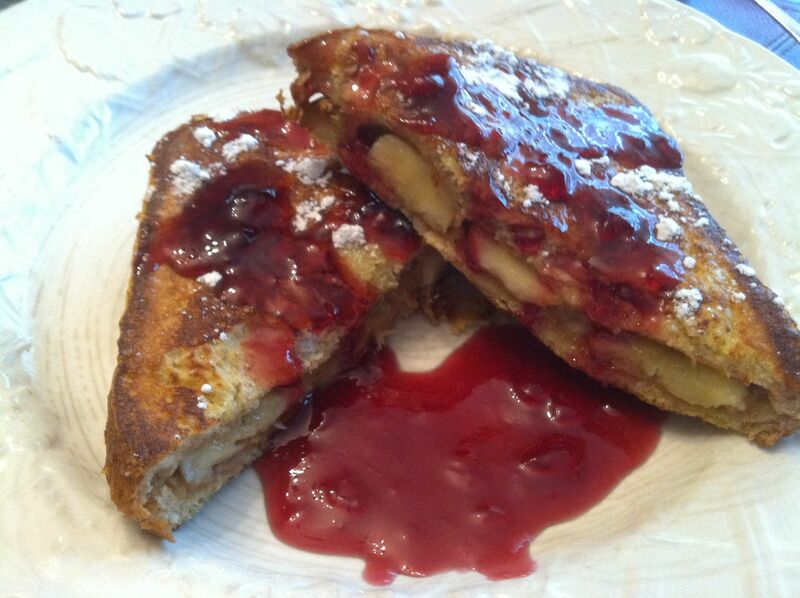 Serve the French toast with the grape syrup for a nutty twist on a classic brunch dish.